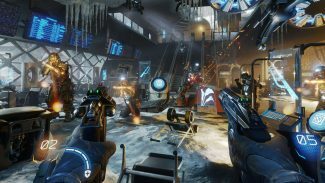 ARKTIKA.1, the sci-fi shooter from Metro developers 4A Games, is launching on Oculus Rift October 10th. 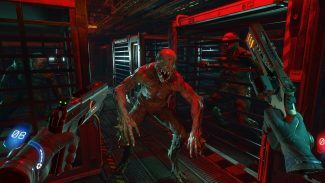 Pre-orders are currently live on the Oculus Store, selling for a 10% discount off of the game’s $30 price tag. Nearly a century in the future – in the aftermath of a silent apocalypse – the planet has entered a new ice age known as the Great Freeze. Only the equatorial regions remain habitable, yet pockets of humanity still manage to survive in small numbers all over the planet. These regions of civilization sit on resource-rich, highly desirable territories to the north and south. As a mercenary hired by Citadel Security, you must protect one of the last colonies in the wastelands of old Russia from violent raiders, marauders, and horrifying creatures. Be the saviour. Give humanity a second chance. The game launches on Tuesday, October 10th and is still available for pre-order with a 10% discount from the Oculus store. 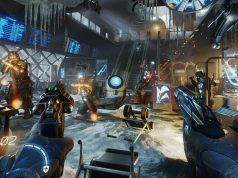 Original Article (9/13/17): We got a hands-on with Arktika.1 back at GDC earlier this year, and from what we saw there, it’s going to be a game with a level of attention to detail and polish that you might say (for the lack of a better word) puts it in the ‘AAA’ category. Climate change has world is plunged into a new ice age, and as a security employee of the Citadel, a Russian outpost in the year 2120, you find yourself hired to protect the colony in the wastelands of the Vostok region from raiders, marauders, and horrifying creatures. 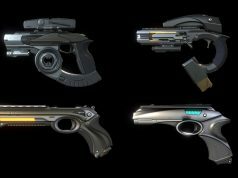 Even for first-person shooters, the game is gun-centric, with a bunch of different futuristic pistols to collect and customize with a number of parts as you sweep the base for baddies. 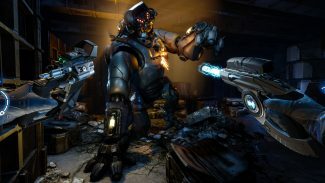 With its node-based teleportation locomotion system, the demo played out to mostly forward-facing, meaning once you enter a room, all of the action happens in front of you. We published 25 minute gameplay session, so if you want to see more about how the locomotion system works, check it out here. The game will also be launching alongside a companion eBook, penned by New York Times Bestselling author and script writer of the game Christie Golden. Called ARKTIKA.1: My Name is Viktoria, Golden calls the book the game’s “bible”. The eBook is available on Amazon for $1, and is slated to launch on October 10th. Check back for our full review in the coming weeks. How will developers solve the locomotion system within VR content?? I get the teleport and/or railed movement for now but I don’t think users will get along for much longer. Games like Lone Echo & Serious Sam VR already did things different and worked great in those games. Most developers are to scared when it comes to trying something else then teleporting or on rails shooting. It’s not a persistent problem. Once you get a little used to VR, free locomotion won’t bother you anymore. Most that have adapted a litte just hope for free locomotion as a standard with optional teleportation (and other confort options) for new players or the 5% of people who will never adapt. It was advertised as positional teleportation – very restricted. Although I can see some type of free locomotion system in this trailer. I`m confused but hoping for freedom of choice as well. 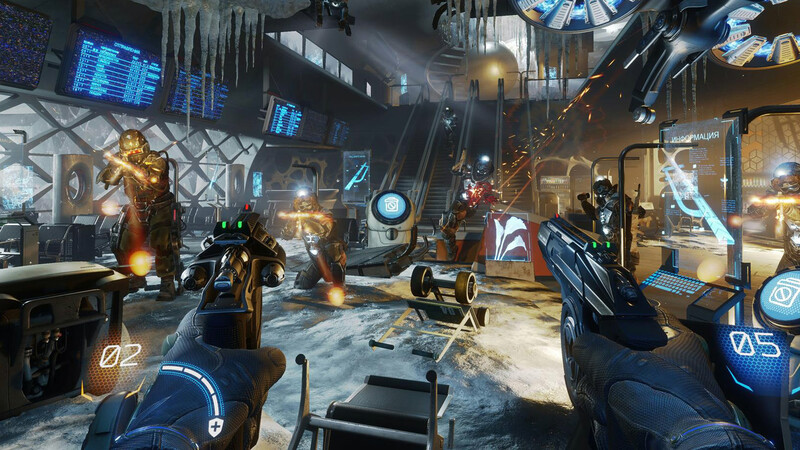 Looks like fixed-point teleportation wave shooter meh. 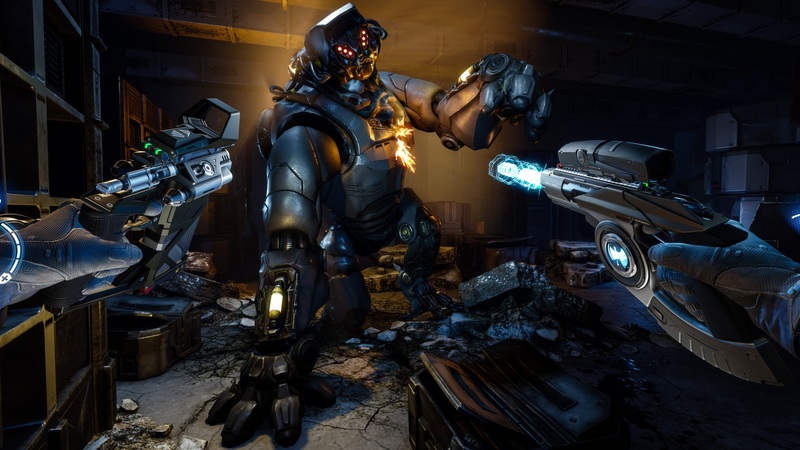 At least we’ll be able to give it a chance and get a refund on Oculus home. Gibberish. 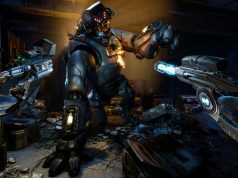 If a company that produced metro games can’t produce a vr game without being bribed by octopusVR perhaps they’re in the wrong business. Your stock cliche response is increasingly common though. I’ve seen other octopus users using that one. 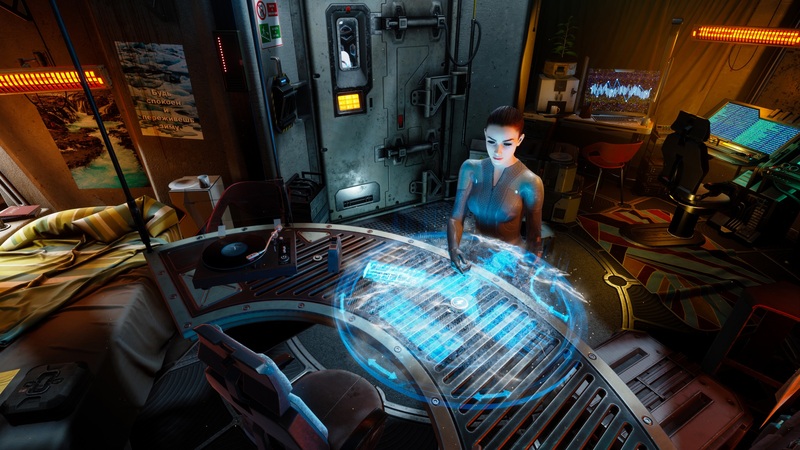 The idea that no vr games could possibly be produced without octopusVR pushing exclusivity. Before you respond with the “it’s a AAA game and there is no money in vr development” nonsense… This game aside from graphics is pretty average stuff. Then go and play titles developed by studios who still resist the evil. I myself, in the meantime, enjoy the titles funded by Oculus. You should hurry though, Oculus might drop by soon and force your favourite developer to take their money. But together, maybe with the help of white knight Zenimax and lucky Gabe, you will be able to fight back. Resist the evil! You can do it! I believe in you! Make the world a better place! This does look good, is classed as a (another) wave shooter, or a Metro Wolfenstein style FPS? LOL … you’d RATHER use Vive? are you mad? I’ve had both and VIVE is worse in every imaginable way except the tracking can be a LITTLE better. Ergonomics, controls, SDE, black levels, comfort all better on the rift. Can’t stand those janky wands and touch pads vs the slick sticks on the oculus controls. Oh you do wear glasses though which could explain it, but I don’t and rift = much better for me in every way. I want that apartment he’s playing it in to come free with the game. please!